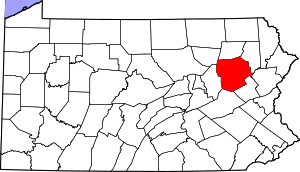 Exton, PA – An anticipated donation of 500 turkeys fell through Friday morning and now Chester County Food Bank is scrambling to collect frozen turkeys by Monday. “We have families and a number of our food cupboards that are depending on having these turkeys Monday afternoon and we are in need,” said Phoebe Kitson, the Food Bank’s manager for agency and community partnerships. The Food Bank serves more than 100 organizations in Chester County. The yearly average distribution of turkeys is about 2,000, but this year requests for turkeys increased about 20 percent compared to previous years. This concern by Hoover and his staff prompted them to adopt the local food bank as its charity of record. Earlier this year, the HFA staff spent a day at its distribution center packing produce. Chester County Food Bank, which was founded in 2009, is comprised of a network of 90 food cupboards and feeding sites. In the past two years, it has distributed 1, 717, 689 pounds of food; of that total, fresh produce amounted to 432, 763 pounds. In addition, there is a children’s backpack program. HFA, which is headquartered on Moores Road in Malvern, was launched in 2005 by Hoover, who has been an independent financial advisor for more than 30 years. Since its inception, HFA has quadrupled in size. Employees include client relationship managers, financial planners, insurance and tax specialists, investment analyst and an information services manager. HFA selected as 2012 Small Business of the Year by Chester County Chamber of Business & Industry. For more information, visit its website at petehoover.com or call 610.651.2777. To learn about Chester County Food Bank, call 610.873.6000 or go to http://www.chestercountyfoodbank.org. Shown left to right at the Food Bank warehouse are: Gail Coxe; Kelly Hoover; Phil Gagliardi; Carol Olver; Pete Hoover; Jerry Fahey; Beth Hoover; and Tim Curvan. It was a wonderful day for the Hoover Financial Advisors staff. 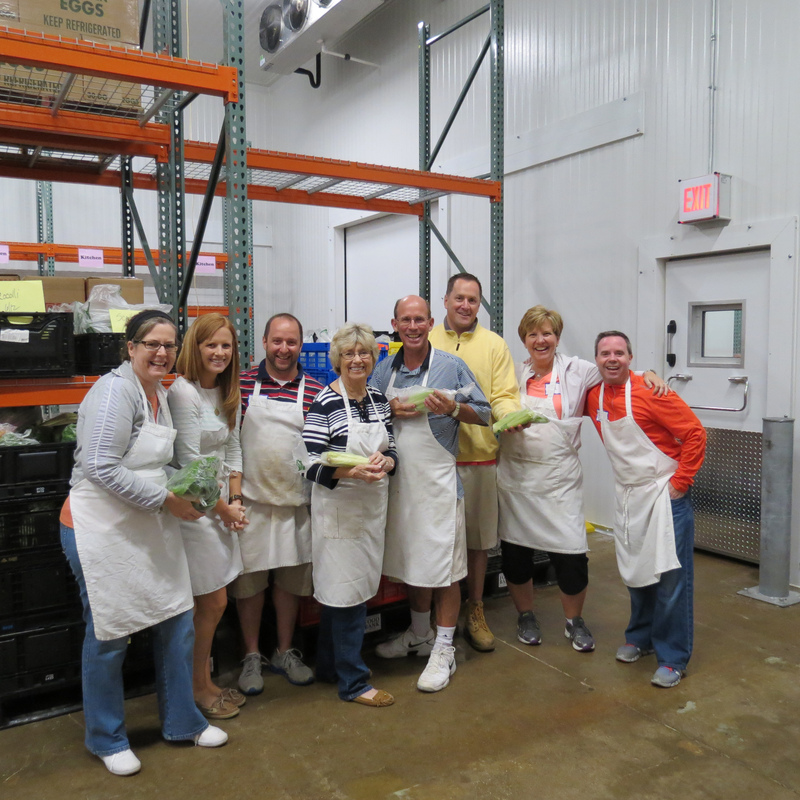 Employees donated a day of service to work at the Food Bank’s new location on Pennsylvania Drive in Exton. Splitting into two shifts, the group repackaged vegetable, including onions, lettuce, beets, celery and cabbage. HFA adopted Chester County Food Bank as its charity of record last year. 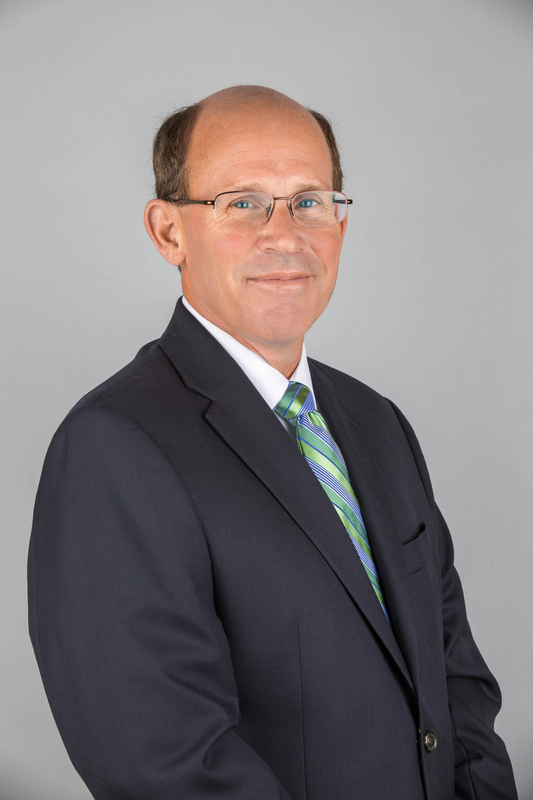 The Malvern-based financial planning company will hold a fundraising campaign this fall. JENKINS TOWNSHIP, PA – Officials from the Commission on Economic Opportunity broke ground Monday for a $6.4 million center in CenterPoint Commerce and Trade Park East named after the late Monsignor Andrew J. McGowan and aimed at providing healthy food for the needy. When completed next spring, the Monsignor Andrew J. McGowan Center for Healthy Living will store and distribute healthy food products for about 80,000 low-income residents of Luzerne, Lackawanna, Susquehanna and Wyoming counties, with an emphasis on children and the elderly. The center also will provide nutritional information, said principal speaker Sue Gin McGowan, sister-in-law of the late Monsignor McGowan and wife of the late William McGowan, an Ashley native and business leader. Sue Gin McGowan, president of the board of the William G. McGowan Charitable Fund, a major benefactor of the new center, said the new facility will dramatically expand the reach of the Harry and Jeanette Weinberg Food Bank, which already serves Northeastern Pennsylvania’s neediest. The Greater Berks Food Bank has seen its demand triple in the 18 years the organization has been in its Muhlenberg Township warehouse, and officials are eager to expand the facility or move into a larger building. A feasibility study, initiated in June, is expected to wrap up this month and provide an idea of what that would cost. “We simply are out of space and cannot do more at our current location,” executive director Peg Bianca said of the 19,500-square-foot warehouse off Tuckerton Road. Like the people they help, food pantries throughout southwestern Pennsylvania are struggling — and in some cases, failing — to make ends meet as skimpy federal food supplies, a tighter state budget, higher food prices and more needy clients strain resources. Food banks around the region are reducing the number of fruits and vegetables they distribute, trimming or even eliminating expensive protein sources such as eggs and peanut butter from the boxes given to their clients, and in some cases, must consider scaling back their operations. In Greene County, for instance, board members of the Waynesburg-based food bank, The Corner Cupboard, were spared Monday from slashing their food box distribution from monthly to bimonthly only after a last-minute $10,000 donation from natural gas drilling company EQT, according to board member John Jenkins. 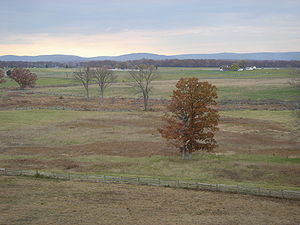 A controlled hunt will be conducted in the next six months by the Park Service staff at Gettysburg Battlefield and the Eisenhower National Historic Site to thin the deer herd by about 150 animals. The population spiked recently to 80 animals per square mile. The goal is 25 animals per square mile. The hunt will be conducted at night and in areas closed to the public. The venison will be donated to the Central Pennsylvania Food Bank in Harrisburg. A portion of that will return to Adams County. Last year 17,000 pounds of venison was donated to the Central Pennsylvania Food Bank. An overabundance in the deer population can prevent forest regeneration and stress the ecosystem. They cause damage to private property, farms, fields and can interfere with overall park management. Like cupcakes? Are you socially conscious? Would you like to attend a cupcake bake-off that benefits the Central Pennsylvania Food Bank? If so, you are in luck! Admission is 2 non-perishable food items or $2.00, which gets you a coupon for 1 free cupcake from the sampling table (while supplies last). Doors open at 2 pm and the judging starts at 3 pm.